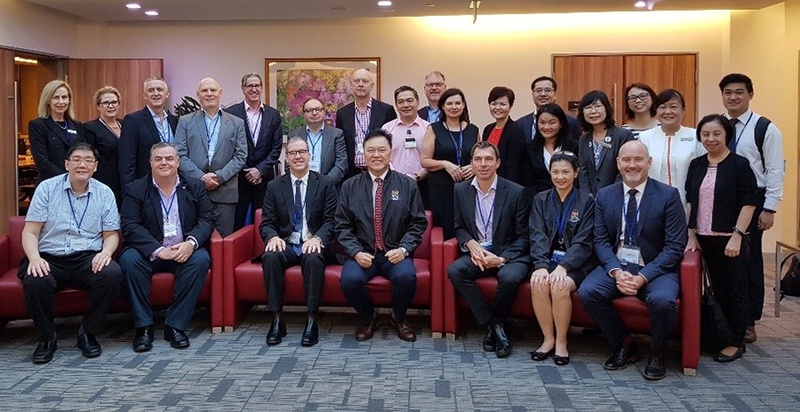 Fourteen CEO’s and senior executives from major public and private hospitals in Australia, the United Kingdom and Singapore gathered recently for Cognitive Institute’s inaugural International Study Tour. 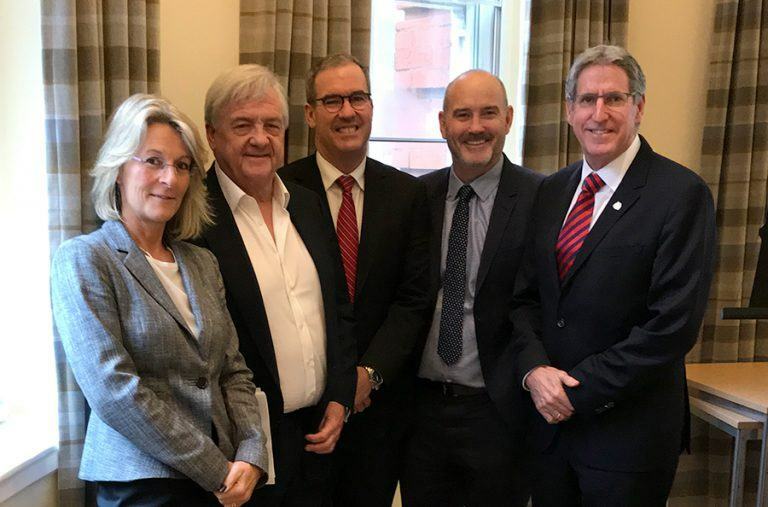 The invitation only event was an exclusive offering to the Institute’s nine partner organisations implementing the Safety and Reliability Improvement Programme. 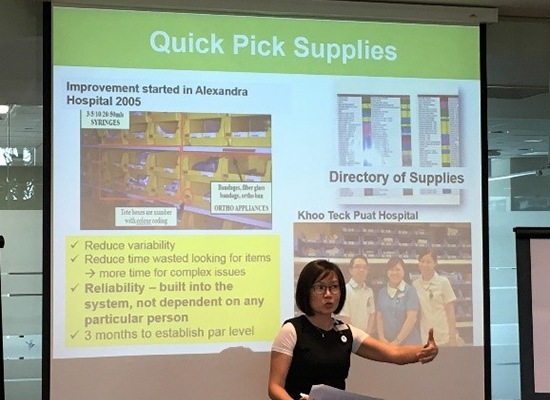 The two-day tour was held in Singapore and hosted by two partners; KK Women’s and Children’s Hospital (KKH) and Khoo Teck Puat Hospital (KTPH), who generously shared their journey so far in achieving higher safety and reliability, and the way they have implemented Cognitive Institute programmes to support this. The collaborative nature of the Study Tour provided a forum for delegates to exchange ideas, share insights and learn from one another. As a benefit of the partnership, this type of opportunity provides a platform for greater success, with each organisation harnessing ideas to meet their organisation’s safety and reliability objectives. Participants commented that the tour provided a great opportunity to see other hospitals and learn from others, and to share and exchange best practice ideas. Professor Kenneth Kwek, Chief Executive Officer of Singapore General Hospital and previous Chief Executive of KKH delivered a dynamic opening presentation on leadership for safety and reliability. His presentation reminded participants of the value of accountability and the significant impact that unintended harm has on large numbers of people. Professor Kwek said that personal accountability was at the centre of care, supported by organisational accountability. He shared statistics around unwarranted variability and performance results for KKH’s Zero Harm Dashboard for their International Patient Safety Goal. Professor Kwek emphasised the importance of demonstrated leadership commitment at all levels to ensure improved safety outcomes are achieved. He said “leadership commitment cannot be outsourced”. Participants heard presentations from senior representatives of both Singaporean hospitals and experienced site tours to see ideas in action. The diversity of safety, reliability and quality activities ranged from work supporting patient, community and staff wellness and education, to improved reliability in operational support services. Delegates commented on the clear evidence of leadership culture in these two exemplar healthcare organisations. There was great demonstration of the importance of leadership from the top and engagement from the bottom. Engaged and passionate staff demonstrated impressive use of technology to ensure hand hygiene, community information and robotic technology in pharmacy. Facility design, green initiatives, rehabilitation care approaches and the dedication of staff at all levels to the continuous improvement for patient safety was inspiring to see. 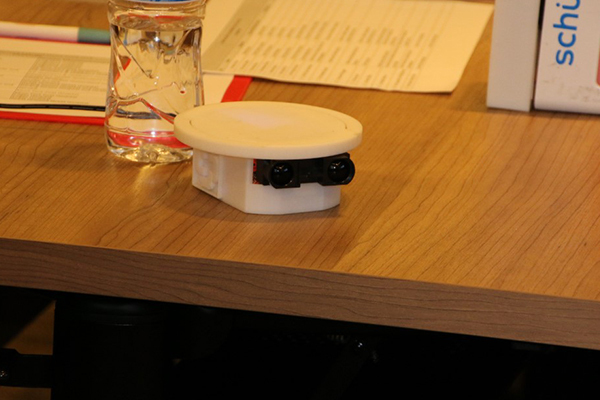 Several participants indicated key take away messages from each hospital were the way KKH supported the Speaking Up for Safety programme by including ‘listen up’ communications to remind managers to support and ‘hear’ their staff. Similarly for KTPH, tour participants appreciated their ‘Kaizen’ approach to staff recruitment. Kaizen is a Japanese word that signifies continuous improvement; a long-term approach to work that systematically seeks to achieve small, incremental changes in processes to improve efficiency and quality. Participants also visited Jurong Community Hospital to view three service areas – the Rehabilitation Unit (gym), Life Hub and Mobility Park. 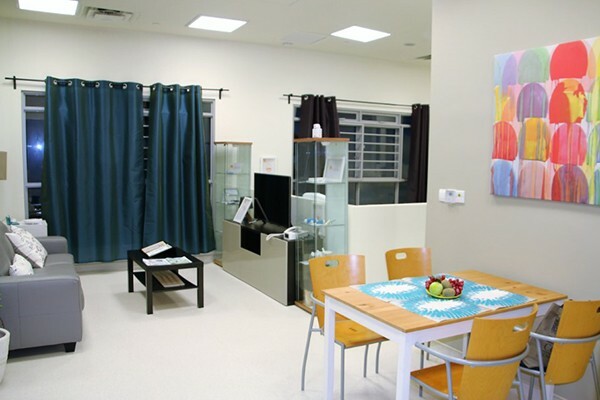 The group observed patients using the well-appointed gym and Life Hub, a purpose built facility that replicates a three room home similar to those many Singaporeans live in. The Life Hub is designed as a functional ‘real life’ space, equipped with functional kitchen where cooking skills are taught and families can join with the person rehabilitating as they learn or relearn daily life skills to enable them to return home as independent as possible. The study tour group experienced the state-of-the-art Mobility Park, which allows therapy staff to help patients with daily activities such as public transport and walking in outdoor environments cleverly designed with realistic uneven surfaces to enable patients to safely expand their capability and range of mobility. 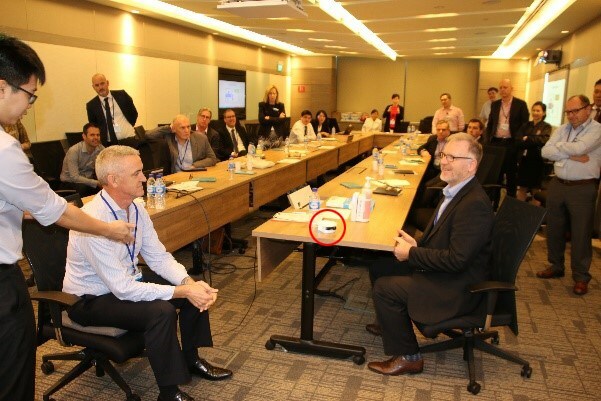 Cognitive Institute Managing Director Matthew O’Brien said Singapore was selected for the inaugural Study Tour because of the innovation and safety, reliability and quality demonstrated across both of the local partner hospitals was inspiring. “What these two hospitals have done with their culture is transformative in terms of improved patient safety outcomes and reliable care. 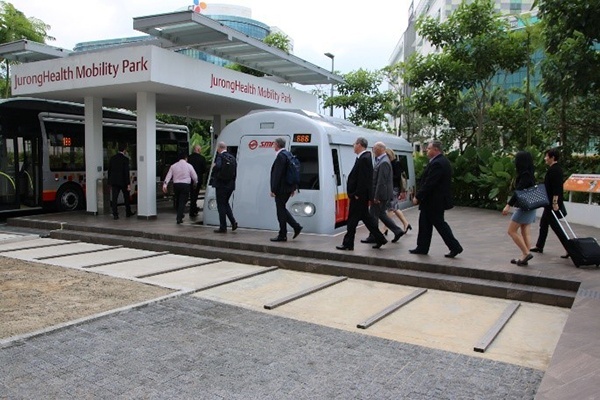 We knew our Safety and Reliability Partners would benefit from experiencing first-hand the particular Singaporean way in which they attempt to solve common challenges,” he said. The international attendees rated the Study Tour extremely highly, with all favourable to take part in a future tour. One participant summed up the experience saying, “since our return we have had several clear indicators that this is the right direction of travel for the organisation and once we have all the right pieces in place, I personally think we will fly. It was good to meet like-minded colleagues from around the world. They have achieved great things in Singapore”. The Safety and Reliability Improvement Programme (SRIP) supports high performing healthcare organisations to build an improvement culture by further developing the capability to deliver safe and reliable care. It integrates with existing effective systems and programmes and addresses the influence and impact of organisational climate, leadership commitment, reliability science application and high-performance work practices on quality and safety outcomes. The SRIP is a framework that encompasses two evidence-based Cognitive Institute programmes; Speaking Up for Safety™ and the Promoting Professional Accountability Programme. These programmes support an organisational speaking up culture and address behaviours that undermine a culture of safety. Learn more about the Safety and Reliability Improvement Programme. Officially launching in 2015, Cognitive Institute’s Safety and Reliability Partners are an exclusive group of international healthcare providers implementing the Safety and Reliability Improvement Programme in their organisations. 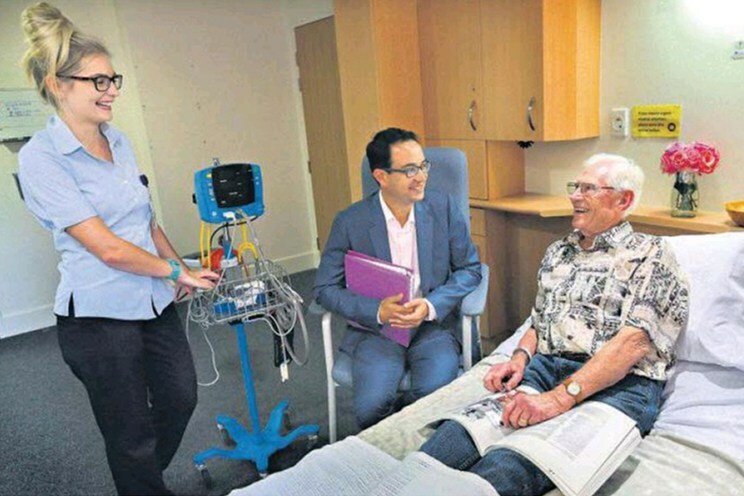 Cognitive Institute has recently welcomed two more Australian and UK based Safety and Reliability Partners; Darling Downs Hospital and Health Service and Great Ormond Street Hospital. See all Safety and Reliability Partners. Cognitive Institute wishes to thank the executive leadership and staff of KK Women’s and Children’s, and Khoo Teck Puat Hospitals for their hospitality, thoughtfulness in sharing with partners and contribution to the success of the Study Tour. Also to our Safety and Reliability Partner representatives for their recognition of the benefits to patients from improving safety and reliability in healthcare. For more information on the Safety and Reliability Improvement Programme and partnerships, please contact us. For information on the Safety and Reliability Improvement Programme, presenters, related workshops and courses contact us today.